Saul and Carrie – mentor and protege – sane and insane? In the middle of its first season, I successfully turned key players in my family and several coworkers. 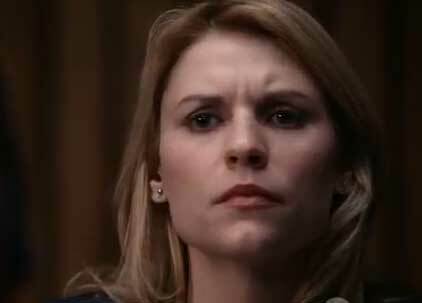 Homeland was not a show to watch half-heartedly – you had to commit to the cause. I extolled the series’ virtues in the midst of season one when I presented Five Reasons Why You Should Be Watching Homeland. And people, once introduced to its brilliance, were willing to take up the banners in support. The show recently moved from cult status to mainstream success with its bevy of Emmy wins. And as spectacular as that first season was, I had this feeling in my gut that this could become another Dexter. Like Homeland, Dexter was near genius in its inaugural season, wholly unlike anything else on television at the time, and shockingly entertaining. Yet I knew then eventually someone would catch Dexter Morgan, the serial killer who killed serial killers while working for the Miami PD as a blood-spatter expert. I mean how many serial killers could there be in one city and how dumb could the Miami PD be, right? And now that show is a parody of itself, ridiculous beyond belief, and limping through another ill-advised season far past its prime. Homeland, too, faces a similar conundrum. 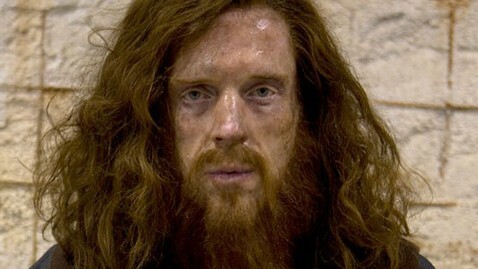 How long can Brody (Damian Lewis) keep this up? Won’t he eventually get caught? Won’t Carrie eventually remember “Isa!” or won’t someone in the government or someone in his family catch on that he’s working for terrorist mastermind numero uno, Abu Nazir? Attention Readers: For the Spin on Season Two – CLICK HERE! I have to admit…I came around to it reluctantly. 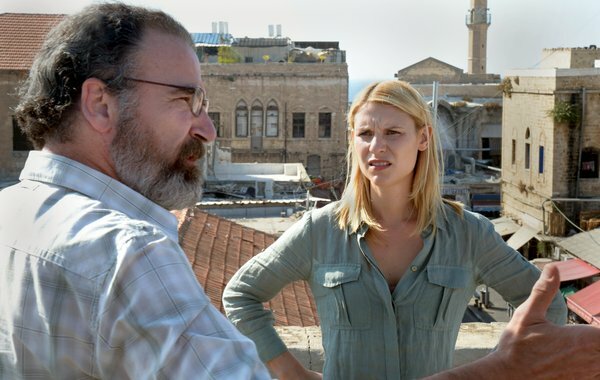 The premise seemed intriguingly simple enough – a CIA agent named Carrie Mathison (Claire Danes) believes a recently rescued POW named Nicholas Brody (Damian Lewis) has been turned by Al Qaeda and begins 24/7 surveillance of his return home against the orders of the agency and against the sentimental tide of a nation that views him as a hero. The first episode was okay…but there were hints of things that made me press on, and slowly but surely (and now, 9 episodes in, the pace is breathtaking) – I got hooked. I try to tell my friends and co-workers about it. “Hey,” I say, “Are you watching that new show Homeland? It’s like 24 meets My So-Called Life meets The Truman Show. Yeah, it’s pretty good.” And they look at me befuddled. But it’s more than pretty good…it’s great. And it’s more than just that reference-fueled sound-bite.